2/0-2/0-2/0-2/0 Grullo quadruplex service drop cable has 60-mil thick polyethylene insulation that offers resistance against moisture, heat and sunlight. 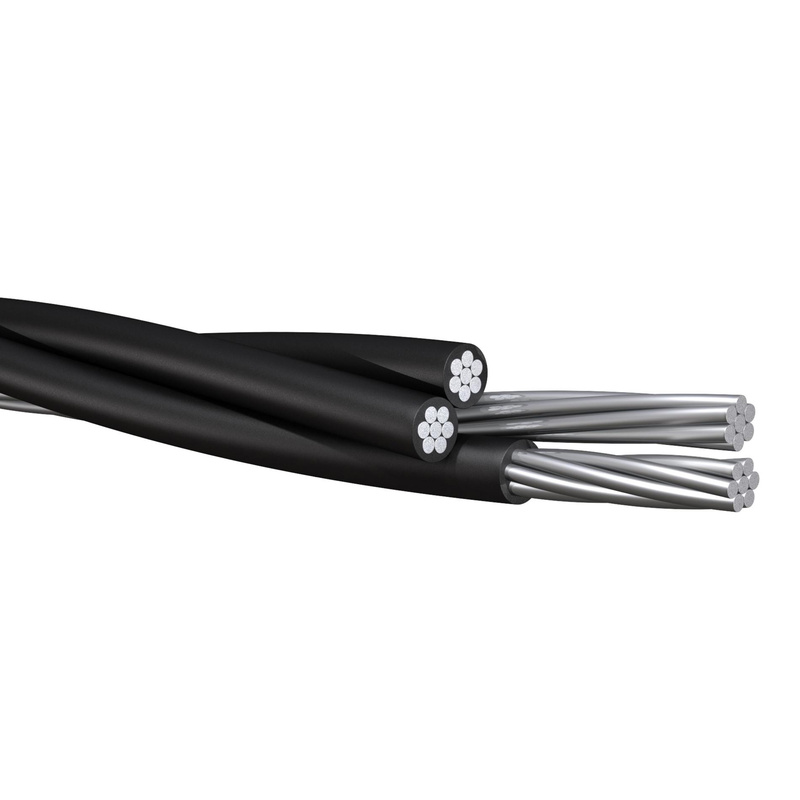 This aluminum cable has voltage rating of 600-Volts and current rating of 160-Amps. It withstands temperature rating of 75 deg C. It is perfect for supplying 3-Phase power from pole-mounted transformer. This cable comes in master reel. Cable meets ICEA S-76-474 standards.